In the era of rising nationalism/populism, social media and fake news are also flourishing. The availability of accurate information and analysis is therefore key for democratic Institutions, as well as for the business community and the public at large. How to fight fake news? Are Think Tanks in step with the times and able to reach out to a broader audience? Are they truly delivering accurate and impartial analysis? What’s the role for Think Tanks vis-à-vis Institutions and business? 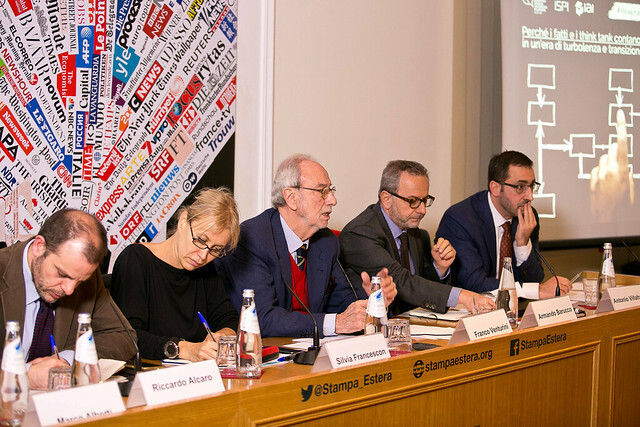 IAI, ISPI and ECFR address these topics in a joint event in the context of “Why Facts and Think Tanks Matter”, an initiative taking place simultaneously in over 120 cities across the world, promoted by the University of Pennsylvania.